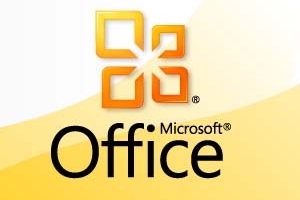 Microsoft has released Service Pack 1 (SP1) for Microsoft Office 2010. You can download it now directly for Office 2010 32-bit and Office 2010 64-bit. The software giant will also push it out via Microsoft Update, and eventually as a required update. As a result, while you probably already have the majority of what SP1 includes, you should still update to this service pack. For a full changelog, check out the Microsoft Office 2010 Service Pack 1 Changes document (only available in English). Microsoft Office 2010 was released to retail customers on June 15, 2010. It is available in 32-bit and 64-bit flavors, and in 96 languages. On November 17, 2010, Microsoft sent out invitations on Microsoft Connect to a select number of testers to test a beta build of Office 2010 SP1. Microsoft is already working on SP2, and a beta will likely arrive sometime next year. Two weeks ago, Microsoft Office 2010 turned one year old. To celebrate, the software giant revealed that its business customers are deploying Office 2010 five times faster than they deployed Office 2007, declared Office 2010 the fastest-selling version of Office ever, and said that nearly 50 million people worldwide use Office Web Apps.